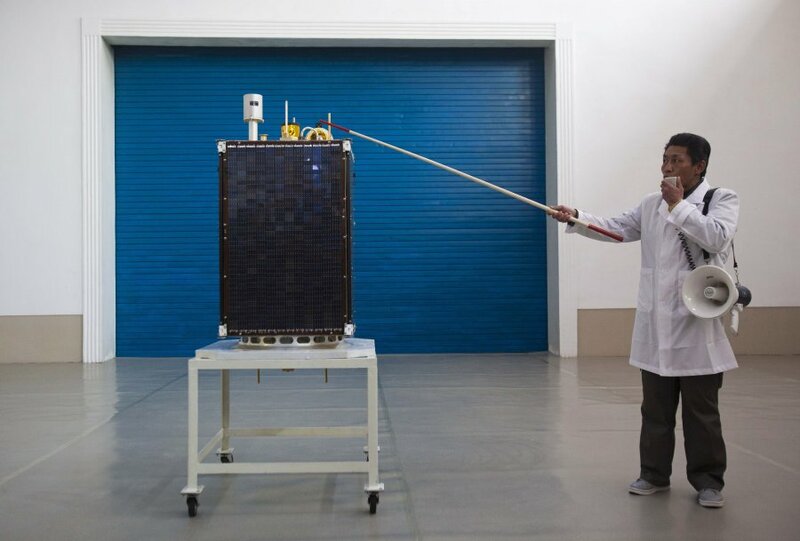 An earlier model of the North Korean satellite now in orbit (Credits: AP/David Guttenfelder). On December 12, North Korea successfully launched Unha-3, lofting the supposed weather satellite Kwanomyonosong-3 into orbit. There was initial speculation as to whether the satellite might come crashing back down, with some observers characterizing its orbit as unstable. It now appears that the satellite, which has no attitude control, is indeed tumbling and is not emitting any sort of signal. “To the best of our knowledge, the satellite isn’t operating,” said Jonathan McDowell of the Harvard-Smithsonian Center for Astrophysics. It is not certain whether the satellite ever transmitted back to Earth or even whether it is currently transmitting but too weakly to be received. Kwanomyonosong-3 doesn’t seem to be going anywhere though; at its current orbit of 505 km, the satellite won’t be reentering atmosphere any time soon. “These things are hard to calculate, but roughly speaking, an object of that density at that height is going to stay up for a few years,” McDowell said. Sally Ride led the MoonKAM program that allowed students to decide where the GRAIL probes should take photographs of the Moon (Credits: NASA). The site where NASA crash landed the GRAIL probes Ebb and Flow has now been named after the late astronaut Sally Ride. Ride, who was the first American woman in space and died of pancreatic cancer in July at the age of 61, was an intrinsic part of the educational component of GRAIL’s mission. 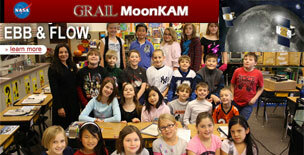 She led the MoonKAM project, allowing students to decide which lunar sites the probes would photograph. “It’s really cool to know that when you look up now at the moon, there’s this little corner of the moon that’s named after Sally,” said Ride’s sister Bear. “And we hope that kids will really be inspired by that as well.” NASA decided to crash the probes before they ran out the last of their propellant so as to prevent an uncontrolled landing that could have damaged lunar heritage sites. 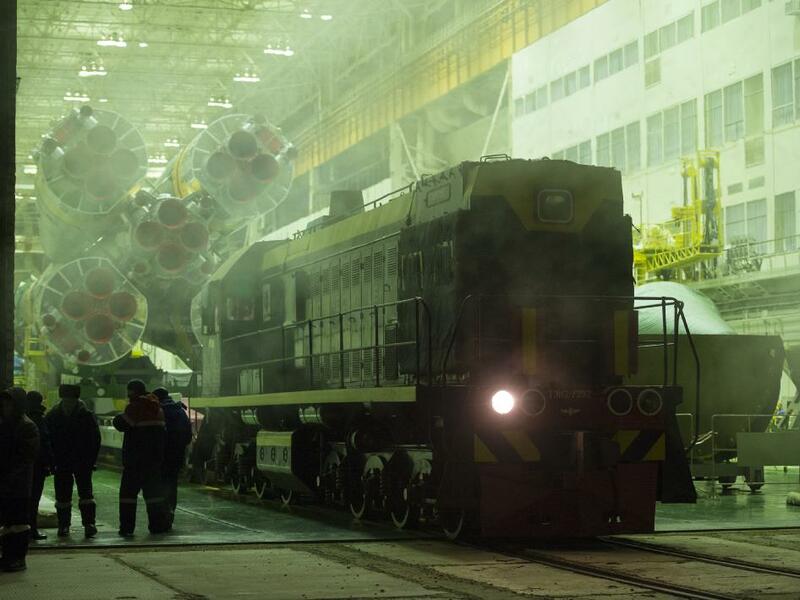 Soyuz TMA-07M travels by railcar to its Baikonour launchpad (Credits: NASA). NASA astronaut Tom Marshburn, Canadian astronaut Chris Hadfield, and Russian cosmonaut Roman Romanenko are conducting final preparations for their December 19 launch from Baikonour aboard Soyuz TMA-07M. The second half of Expedition 34, the three are likely looking forward to the two day trip to the International Space Station if only to escape the sub-freezing temperatures they’re now enduring in Kazakhstan which is experiencing record-low temperatures for this time of year. Their ride is ready for them, with its three stages mated on December 16 and the vehicle transported to the launch pad by rail on December 17.